Mission4Maureen announced today that it has been honored with a prestigious Top-Rated Award by GreatNonprofits, the leading provider of user reviews about nonprofit organizations. We are proud of our accomplishments this year. Being on the Top-Rated list gives donors and volunteers more confidence that this is a credible organization. The reviews by volunteers, clients and other donors show the on-the-ground results of this nonprofit. This award is a form of recognition by the community. 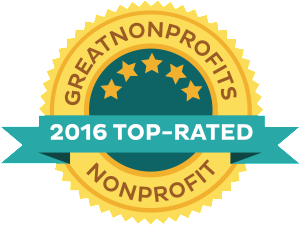 GreatNonprofits is the leading site for donors and volunteers to find reviews and ratings of nonprofits. Reviews on the site influence 30 million donation decisions a year. Visit www.greatnonprofits.org for more information.